Looking for a different way to connect with family and friends this holiday season? Consider Lookingglass Alice at Center Stage through December 31, 2017. A witty tale of curiosity and wonder, Baltimore Center Stage brings a fresh, modern twist to the original story. 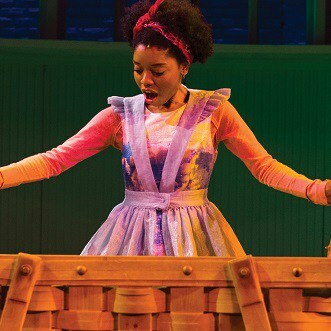 As the third production in Baltimore Center Stage’s “Season of Community,” Lookingglass Alice is a journey of rediscovery—a timely theme as families reconnect during the holiday season. Lookingglass Alice is directed by Jeremy Cohen. This is Cohen’s third production at Baltimore Center Stage. He previously directed Let There Be Love (2010) and Wild with Happy (2014) and he is excited to collaborate with staff members that he has gotten to know over the years. Assistant Director Mari Travis was handpicked by Cohen and is a native Baltimorean. “From the beginning, this has been a collaborative process, thinking about what this storyshould be for Baltimore in 2017,” said Cohen. “The idea for this production is also that we are engaging very directly with the audience right as they walk through the doors.” The cast includes Markita Prescott* (Alice), Garrett Turner* (White Rabbit/White Knight), Patrice Covington* (Red Queen/Dormouse) on whom we did a Q and A feature last week (click here to read), Christopher Ramirez* (Dodgson/White Queen) and David Darrow* (Mad Hatter/Caterpillar). Two local artists were cast as dancers, Jessica Bennett, a recent graduate of Garrison Forest School, and Sensi Silab, a senior at the Baltimore School for the Arts, in her first professional stage appearance. The artistic team includes director Cohen and Assistant Director Travis, along with musicdirector Jose C. Simbulan (Music Director), Tim Mackabee (Scenic Designer), David Burdick (Costume Designer), Rui Rita (Lighting Designer), Lindsay Jones (Sound Designer), and Caite Hevner (Projection Designer). World renowned professor of hip-hop dance, Rennie Harris will serve as choreographer. Lookingglass Alice is running until December 31. 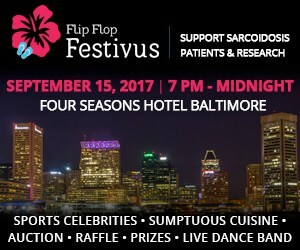 For more information, visit www.centerstage.org or call the box office at 410.332.0033.